Sicily. Syracuse. Ortygia. Ingegnere Sebastiano Russotti’s recent 5 star hotel investment, Ortea Palace. 75 Luxury rooms and conference facilities 0n the turquoise waters of the romantic Ionian sea. August 31st 2017. 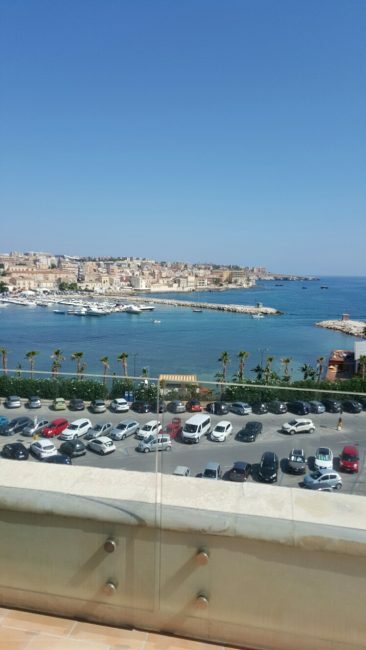 Ingegnere Sebastiano Russotti, the financier, showing us, personally, around the impressive 75 room luxury 5 star Ortea Palace Hotel Ortygia Syracuse, on the romantic turquoise Ionian sea, Signore Sebastiano Russotti plans to open in November 2017. 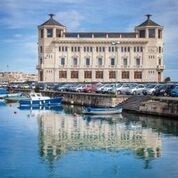 Syracuse Sicily. Ortea Palace. 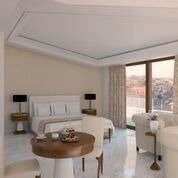 Sensational new hotel opens November 2017, Ortea Palace. 5 star Luxe. 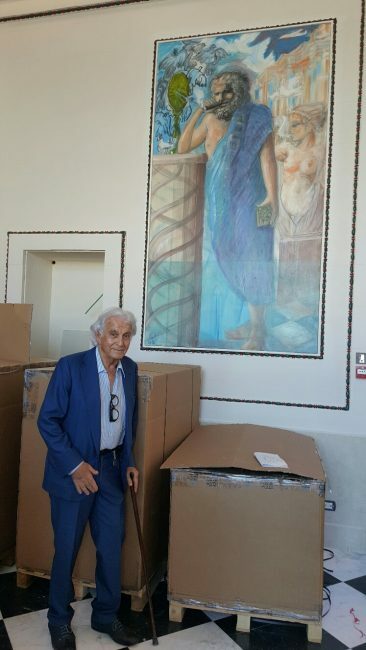 34.000.000. euro investment for Sicilian entrepreneur Sebastiano Russotti..
Ingegnere Sebastiano Russotti, One of Italy’s best known hoteliers is about to open the 75 room Ortea Palace 5star Luxury hotel.Ortea of Greek mythology reminiscent of Sicily’s Greco Romaine heritage. Sicily currently has 7 UNESCO Heritage sites, and is a fascinating place to visit Syracuse, is a UNESCO World Heritage site. From ancient Greek times Syracuse has been a part of history. 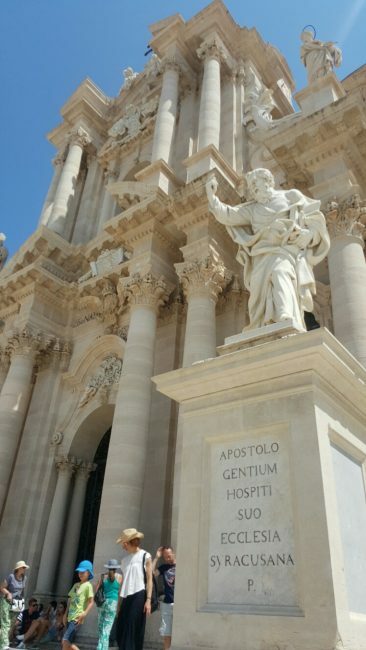 .Ortygia has some splendid buildings, in a glorious pale peach coloured local stone, surrounded by the sea. When the Italian Government put up for sale the old Art Deco Syracuse Post Office, (originally designed by the Italian Architecte Francesco Fichera in 1920, with works by the sculptor Florio..) there was a fierce battle to acquire a prestigious prime site on the charming harbour of Ortygia, on the romantic, turquoise Ionian sea. Sebastiano Russotti was the successful bidder, already owner of the successful hotels, Milan Marriot, Rome Marriot Park, & the Hilton Naxos, ( near beautiful Taormina in Sicily) his original plan of 40 odd rooms was converted into a substantial undertaking of 75 rooms. At over 80 years of age this adventurous entrepreneur kept essential authentic Art Deco features whilst he undertook to gut the building so that exceptional hotel rooms could be incorporated into the fabric of the old building, which is decorated to the highest modernist standards, & respecting all the international standards norms. (fire.WIFI. etc) See the fabulous polycarbonate chandeliers that seem inspired by the Chihuly fountain chandeliers in the V.&. 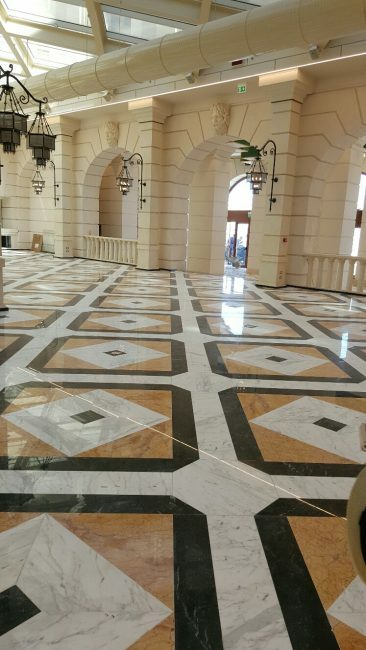 A. and the luxury marble flooring throughout the hotel. 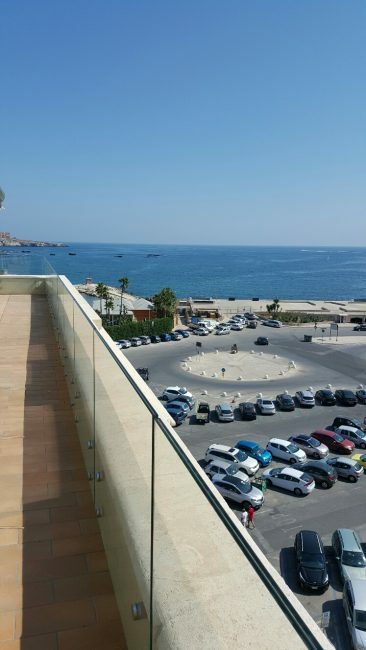 The comfortably sized top floor suites have large panoramique windows that ensure fantastic views over the harbour, beautiful sea and cream stone city. The hotel is designed to offer all day dining.The hotel has been designed inside to hold World class conferences. It also has an impressive wine cellar and a swimming pool & gym. 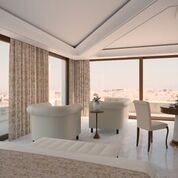 In some of the rooms we noticed glamourous Rubelli fabrics and specially designed furniture. Rusottfinance SpA, founded 1988, through an amalgamation. Russottfinance is the finance vehicle behind the development of the former Post & Telegraph building in Syracuse, on Ortigia Island, into a 75 room hotel which it is planned to open late 2017/early 2018.